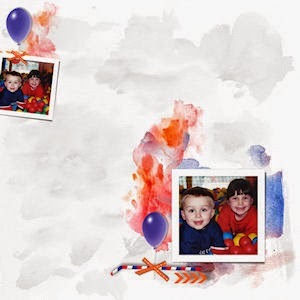 MyMemories Blog: Recipe Challenge by Happy Scrap Arts! Recipe Challenge by Happy Scrap Arts! I'm doing a recipe challenge. I hope you come and play around. 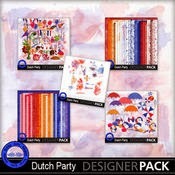 I used my collection Dutch Party to make the page. You can find it HERE! 2. Choose your photo, it should be twice on your page. One time on the right bottom and one time in the left upper corner. 3. Use 2 frames on the page, they can be the same or 2 different ones. 4. There should be at least 1 balloon on the page and 1 ribbon. You can repeat these on your page, 2 times or even 3. 6. Add 2 elements of your choice. You can repeat them if you like. Enjoy 30% off Happy Scrap Arts in the MyMemories Design Shop!